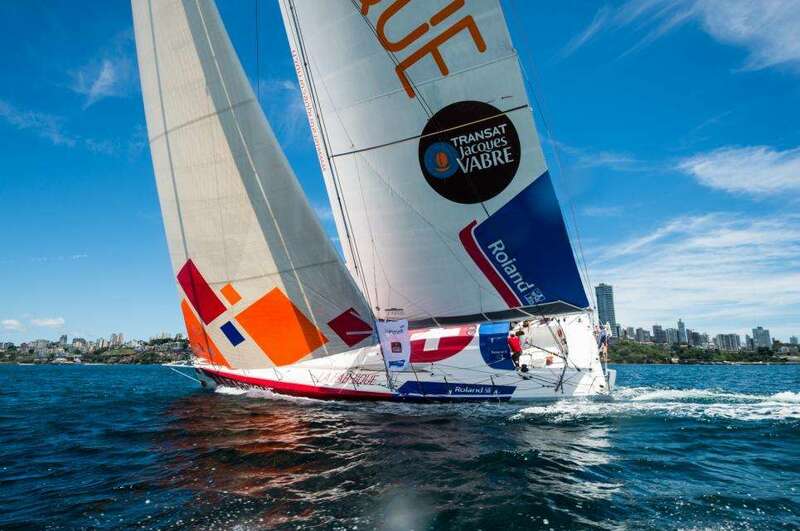 In 1993, the town of Le Havre and the brand Jacques Vabre founded the Transat Jacques Vabre. The first edition of the race was run as a solo race, however the spirit of “two” had was in the air… and from 1995 the Transat race would become a double handed race. The rule would be put in place very quickly. 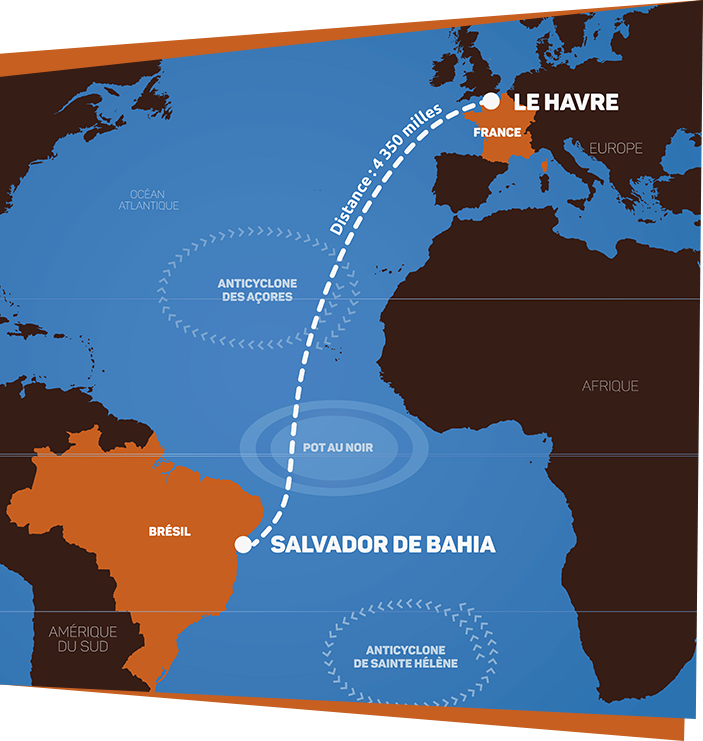 The origins of the Transat Jacques Vabre are based on historical maritime Atlantic routes: the latest of these tie in with the economic growth between the American and European continents and the first Transat Jacques Vabre which would link Le Havre to Cartagena (Colombia) being the centre of the coffee routes. Jacques Vabre and the town of Le Havre celebrate this maritime route like the Tea Tour (from Hong Kong to London) or the Gold Route (from New York to San Francisco). Le Havre, a sailing town. Le Havre, the largest town in Normandy, likes to develop its qualities: being the only deep water marina that is accessible 24 hours a day regardless of the tides, with an exceptional sailing area, excellent thermal winds, four-star sailing centre and area for practicing all manner of water sports, … renders it France’s leading marina on the Atlantic Channel coastline. Its geographic position has meant that it has become over the course of the years one of France’s top five destinations for water sports. Le Havre-Jacques Vabre, the strength of two. The rule of two has been a constant on this race. 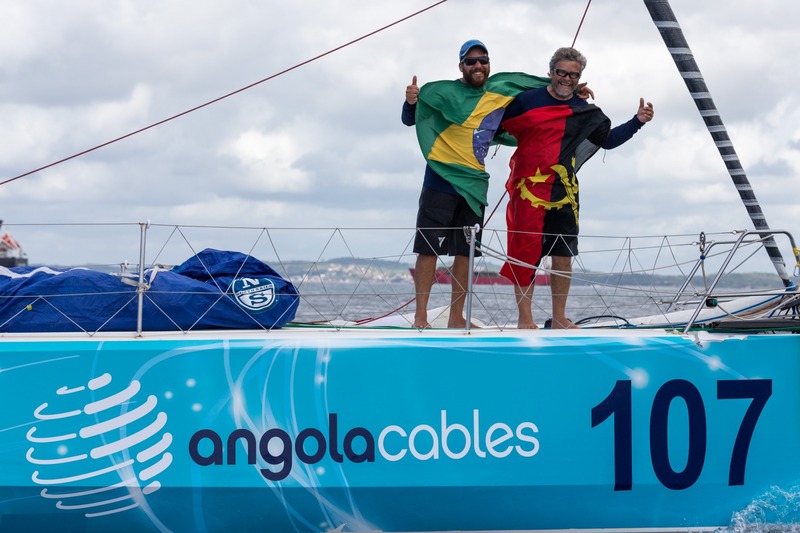 Two sailors, two ports, a biannual race and above all two major partners who have beaten the path to defend the fundamental human, sporting and environmental principles that the race is based on. Since the first edition in 1993, Jacques Vabre created and named the race. They have set out to show case some of the most beautiful coffee production sites in the world in countries such as Columbia, Brazil and Costa Rica. They have been active conservationists since 2003 and puts forward new coffee providing destinations based on a model of sustainable development. Le Havre, a Norman town founded in 1517 by Francis I, confirmed its maritime vocation in 1643 when the Compagnie de l'Orient set up shop there to develop trade with the Americas (cotton, coffee, sugar, tobacco, etc.). Le Havre is still the leading French port for foreign trade and the fifth northern European port with more than 87 million tons of goods in 2016. Over the years, the City of Le Havre has forged strong ties with sailors, developed infrastructures around the old docks of the commercial port and continually strives to be a leading maritime city. 1728 This commercial coffee route’s humble started when just 80 pounds of coffee grain was offloaded in the port of Le Havre. 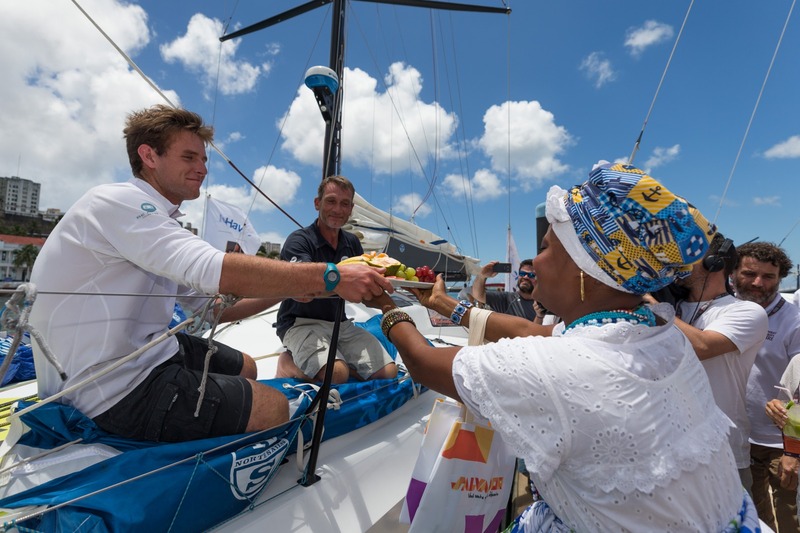 In 2013, and again in 2015, all the boats flew past Salvador de Bahia, sails filled by the trade winds of the south-east, under the tropical sun...One imagines that they dreamt of finally finishing their race in All Saints’ Bay. In 2017, it will be a reality! After the start line and a coastal route as far as Etretat, the duos will head towards Brittanyto get out of the Channel as quickly as possible, where the currents are powerful, cargo traffic dangerous, and a lot of attention is needed. They will then enter the Bay of Biscay, where, depending on the position of the Azores anticyclone, they will either find downwind conditions, easy and fast, like for the last Vendée Globe, or tougher and slower conditions in the passage of some late autumn depressions. Four hundred miles later, having passed Cape Finisterre, the northern Portuguese trade winds should propel them quickly towards Madeira, and then the Canary Islands, where awaiting them will be northeast trade winds, which could be strong or weak. Passing close to the Portuguese coast, or offshore, to the east or west of the Canary Islands and then the Cape Verde islands - you to have to choose the right options. The next goal is to establish your positionfor the crossing of the dreaded Doldrums, located a few degrees north of the equator. At this time of year, it can change position very quickly, extend or contract, because even after carefully studying of the satellite images, sudden squalls can develop and stall the competitors under a good shower without wind for hours. 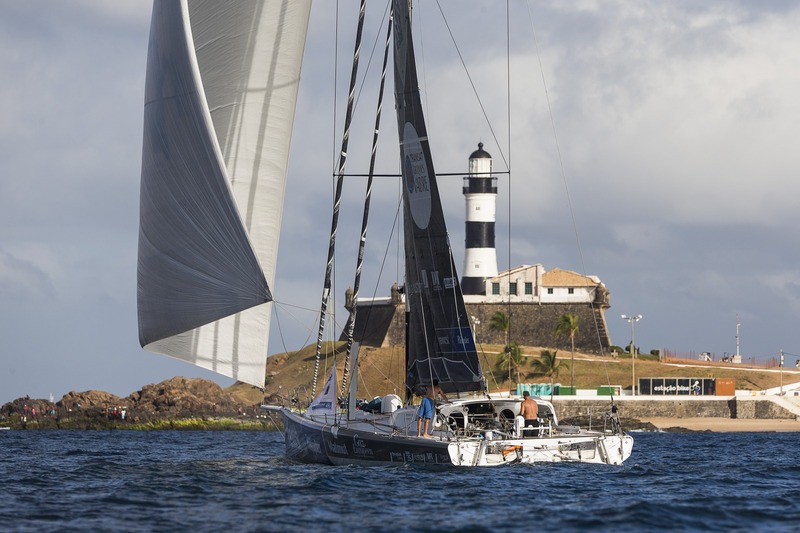 This passage is crucial in the Transat Jacques Vabre racecourse. Further west… Further east... After the calms, rainy squalls, with too much or no wind… The final goal is to get out well-positioned enough to benefit first from the southeast trade winds and to cover the remaining 850 miles towards the finish,passing along the islands of Fernando de Noronha, along the coast of Brazil and finally heading northwest into the magnificent All Saints’ Bay. This transoceanic racecourse from North to South is more demanding than a transat from East to West; it requires the skippers to have sharp tactical and strategic qualities, good weather training, to be in excellent physical condition to maintain a sustained speed in the trade winds... And to have a lot of patience to cross the equator. 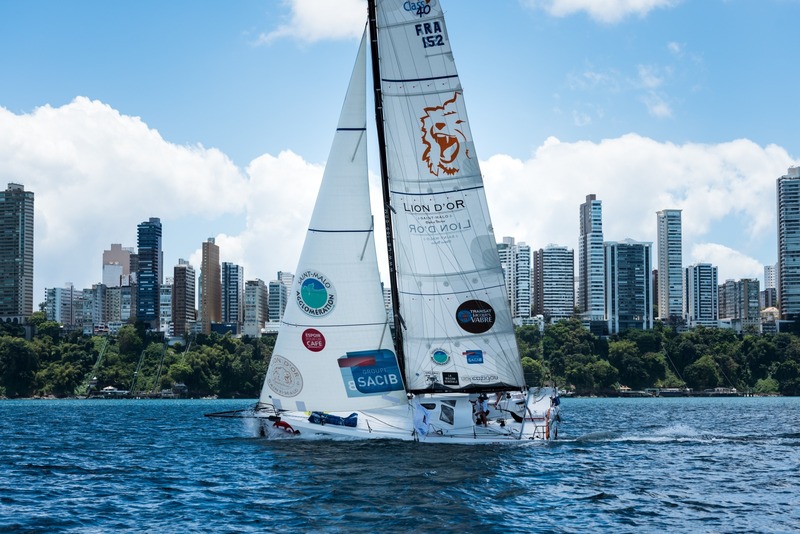 At 12°56 South, Salvador de Bahia is in the tropics, it is hot, though not too hot thanks to the trade winds, a dream for these sailors, who will finally be able to relax after all the stressful days spent at sea. Race times should range from 10 days for the Ultime Class to 25 days for the Class40. Happiness, creativity and natural and cultural riches are the elements that make up the identity of Salvador de Bahia, the first capital of Brazil. The city, located in the northeast of the country, has the second largest natural bay in the world and the largest in Brazil: the Bay of All Saints. With an area of 1,000 km², more than 50 islands, a calm and crystal clear sea and paradisiacal beaches, such as Ponta de NossaSenhora de Guadalupe, on the island of Frades, holder of a BlueFlag (the mark of environmental quality), the Bay is a magnificent place for relaxing, sailing or diving to discover the coral reefs. The first urban lift in the world is one of the main tourist attractions of the city, the ElevadorLacerda plays a public transport role between the Visconde de Cairu square in the lower city and the Thoméde Souza square in the upper city. It also enables access to the Bay of All Saints and the historic centre of the city. The latter is composed of alleys and buildings dating from its time as a colony of the Portuguese Empire and from Brazil’s First Republic. The region, rich in historical monuments dating from the 17th, 18th and 19thcenturies, is the oldest and most visited in Brazil by tourists in search of museums, theatres, churches, concerts, souvenirs and gastronomic delights. One of the most known and most visited areas of the old town is the Pelourinho. 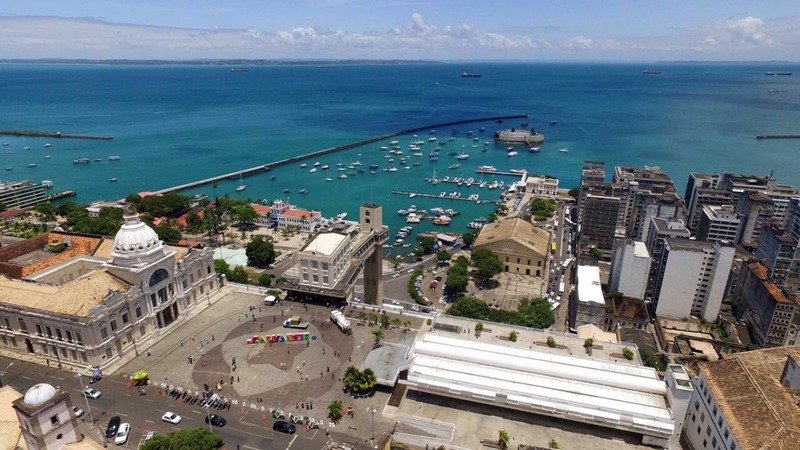 In 1985, the United Nations (UNESCO) recognised the historic centre of Salvador de Bahia as a World Heritage Site.